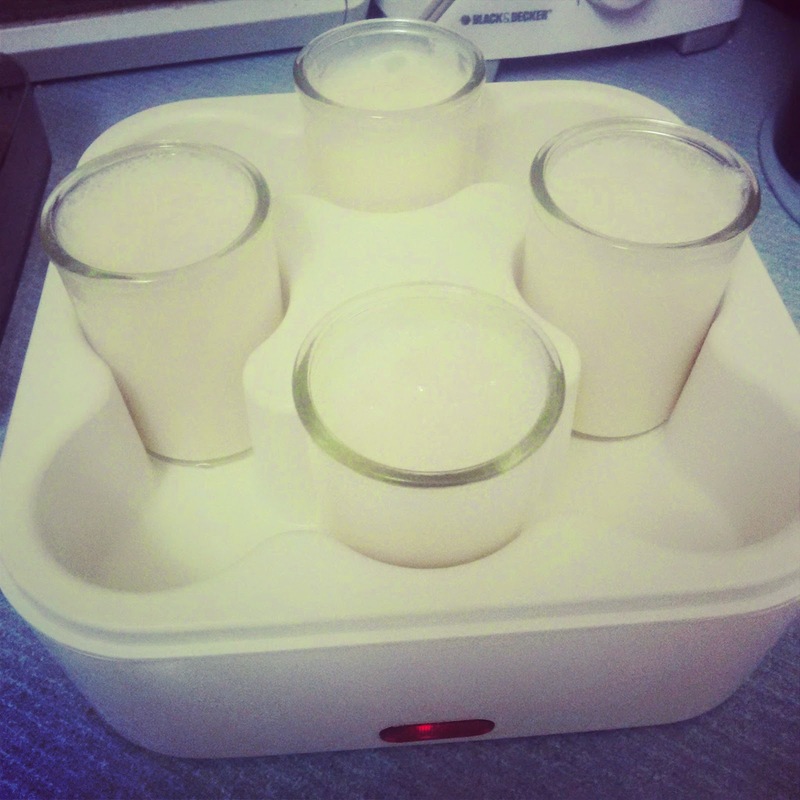 Keen Koala: How To Make Yogurt At Home Easy And Cheap! How To Make Yogurt At Home Easy And Cheap! Yogurt is a traditional fermented food. Fermented foods like yogurt, kefir, miso, tamari, natto, and sauerkraut all contain bacteria that is beneficial to our digestive systems. In addition to this, yogurt contains protein which benefits muscles, hair, and skin, and provides calcium for strong bones. I have started to notice that the yogurt available at the grocery store seems to be moving farther and farther away from traditional yogurt. 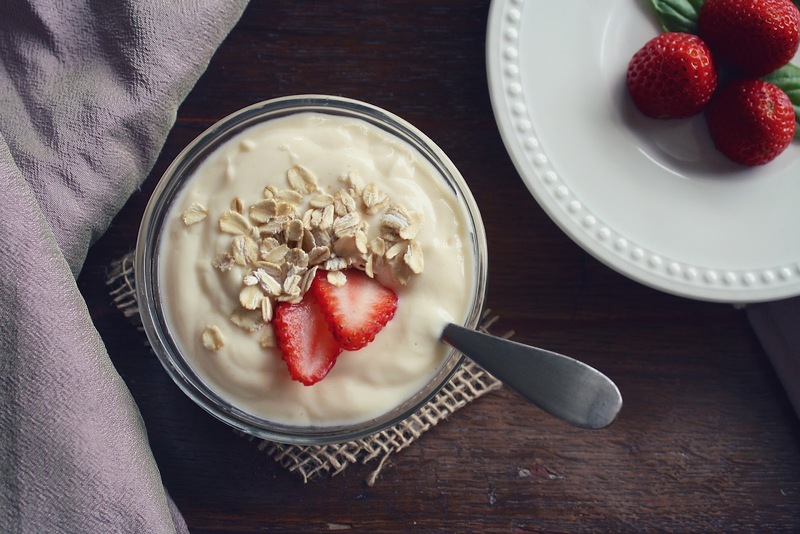 Traditional yogurt contains 2 ingredients, milk and active bacterial cultures. Many commercial yogurts, however, are filled with refined sugar or artificial sweeteners (ie: aspartame, Splenda, etc. ), gelatin, artificial colors, and artificial flavors. Some yogurt varieties even contain more sugar than a serving of soda pop! Eep! Several weeks ago, I was given a very old yogurt maker (circa 1980). I thought to myself why would anyone in their right mind want to make yogurt when you can just easily buy some at the store. Nevertheless, I set out to give it at least one try. The results were so delicious that I made many more batches after that, and the awesome thing is that you don't even need a yogurt maker to make yogurt. All you need is a mason jar and an oven! How simple is that! My homemade yogurt tastes smooth, creamy, and just a bit tangy. I love the taste of plain yogurt. Some may prefer to sweeten it or add fruit, which is perfectly fine, just make sure to do so just prior to consumption. Homemade yogurt is seriously better than anything I've ever bought at the store and I've tried most of the organic varieties available locally. Even my mom, who does not like the taste of plain yogurt thought that my homemade yogurt was delicious! 4 cups organic milk (you can use whole milk, 2%, or 1%. Just keep in mind that a higher percentage milk fat will yield a thicker yogurt. I used 1% this time because that's all the store had, but I would prefer to use whole milk). 4 tbsp plain organic yogurt (make sure the yogurt does not contain added sugar, gelatin, or any other ingredients). 1-quart mason jar with lid (sanitized) and an oven with an oven light OR a yogurt maker. Pot that is large enough to hold 4 cups of milk. 1. Turn on the light inside your oven. OR turn on your yogurt maker. 2. 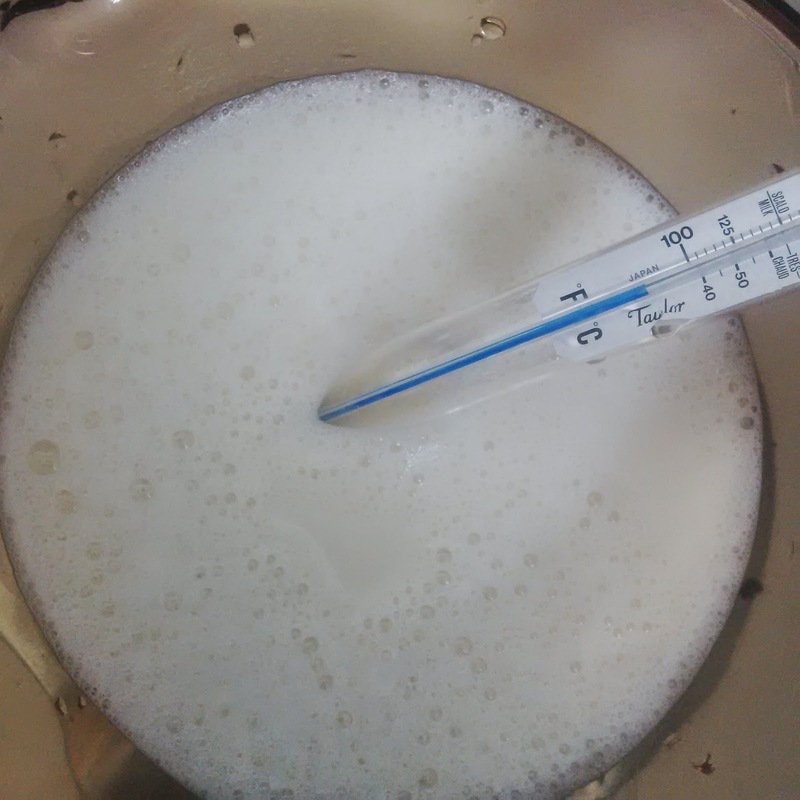 Pour milk into the pot and over low-medium heat, heat milk until it reaches 189 degrees Fahrenheit on your candy thermometer. 3. Remove pot from heat and allow to cool until thermometer reaches 110 degrees Fahrenheit. 4. Gently stir the yogurt into the milk until completely dissolved. 5. Pour the milk and yogurt mixture into the mason jar but don't put on the lid. Place the mason jar in your oven. Make sure the yogurt will not be disturbed in any way because this will stop the fermentation process. Just leave it alone and don't peek for 8 hours. Do not open the oven. Don't even think about it. OR pour milk into your yogurt maker and put on the lid. 6. After 8 hours have passed you can remove your yogurt from the oven, screw on the lid, and place in the fridge to chill out and thicken up for another few hours. OR remove from yogurt maker and place in the fridge. 7. Once the yogurt has chilled, feel free to eat it as you like. It will last about a week in the fridge. 8. Make sure to reserve the last 4 tablespoons of your precious yogurt so you can make another batch of homemade awesomeness! Have you ever made or tasted homemade yogurt? What did you think? Let me know in the comment box below. I'd love to hear what you think! For more great tutorials like this and instant access to exclusive content and contests, please 'Like' Keen Koala on Facebook by clicking HERE!